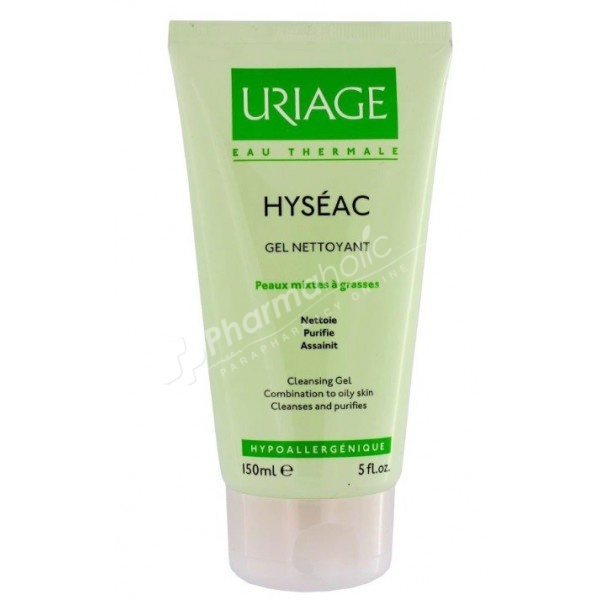 Uriage Hyséac Cleansing Gel eliminates impurities and excess sebum of oily to combination skin. Cleansing for combination to oily skin. Hyséac Gentle Cleansing Gel eliminates impurities and excess sebum, perfectly respecting the epidermis. High rinsability, light foaming action in contact with water and its characteristic delicate fragrance of the Hyséac range provide an extremely pleasant to use product for every day. The skin becomes clearer, healthier and fresher. Soap-free - Hypoallergenic - Non-comedogenic - Physiological pH. Lather a small amount of gel into your hands and massage to damp face. Rinse thoroughly.